Are the Kansas City Royals Finally for Real? It's been ten years since the Royals had a winning season. In fact, over the last 20 years, the Royals have only had two winning seasons. It's been 28 years since the Royals were even in the playoffs. You read that right. 1985 was the last time the Kansas City Royals made the playoffs. To their credit, they won the World Series that year, but trust me, you won't hear any Royals fans bragging about it. Even Slugger, the team mascott, has been a little distracted lately. Despite history, the Royals have started this season 17-13 and have at times looked dominant. In years past, they've had hotter starts than this and failed, so what makes this season different? Well, maybe nothing. Let's take a look at their roster and determine whether or not they can actually compete for the playoffs this season. During the past few years, things have been looking up in Kansas City. Their hitting has really come along, as legitimate stars Billy Butler and Alex Gordon have been consistent driving forces. Both Butler and Gordon typically hit around .300, and Butler has driven in at least 90 RBI in four out of his last five seasons. Gordon has collected at least 70 RBI the last few years despite often hitting leadoff. 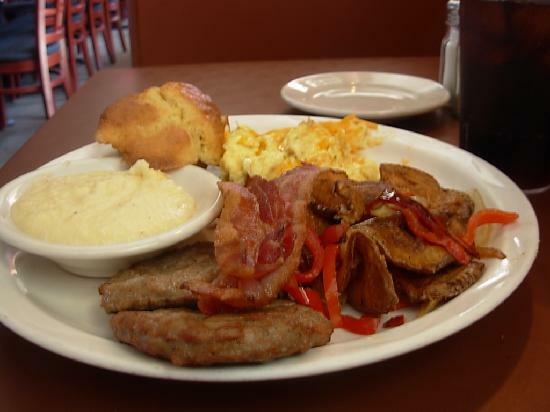 It's also worth noting that Butler may have the best nickname in all of baseball, Country Breakfast ... because he gives you a little bit of everything, but no one moves quickly after a country breakfast. Defensive aces Alcides Escobar and Salvador Perez are improving behind the plate. In 2012, Perez hit .300 with 11 home runs and 39 RBI while playing in just 76 games. Escobar hit just below .300 last year and has yet to show he can consistently hit for power, although he has three home runs already this year after compiling only five during the 2012 season. He will need to keep up that production if they Royals are going to continue to succeed. Oft-injured Lorenzo Cain has managed to stayed healthy so far this season, although we're only one month in. He's had a hot start, collecting 16 RBI and hitting at a nice .327 clip so far. However, production has never been Cain's issue. In 2012, he hit seven home runs, racked up 31 RBI, and stole 10 bases despite playing in just 61 games. Injury has been Cain's issue, and his health could be the X-factor this season for the Royals. Mike Moustakas began this year in a coma and seems reluctant to snap out of it. Not only is he hitting .219, but he's already committed five errors over at the hot corner. That can't continue if he wants to be a part of what the Royals are doing this year. I wouldn't say his production is integral to the Royals success, but they need either Moustakas or Eric Hosmer to play at a high level for the team to compete for a playoff spot. Eric Hosmer was originally billed as a potential savior for the Royals. He lived up to that hype in his 2011 rookie campaign, which saw him hit .293 with 19 home runs and 78 RBI in 128 games. However, he had a sophomore slump, hitting .232 last year, and has had an okay start, hitting .268 with 9 RBI thus far. As mentioned just before, the Royals will need either Moustakas or Hosmer to perform up to their abilities. The hitting has improved, but it's been the Royals pitching that has been the difference for this team. In 2012, they allowed 4.6 runs per game, which was actually their lowest mark since notching 4.28 rpg in 1993. This year, however, they've allowed just 3.8 runs per game. It's a small sample size and they have a long way to go, but really, that mark could be lower than it is. Last year, the Royals bullpen ranked first overall in WAR and sixth in overall ERA. This year they have been eleventh in both. Their relatively unheralded bullpen includes two relievers who regularly touch high 90's on the gun. Last year, Kelvin Herrera topped the league in average fastball speed among bullpen pitchers, and Greg Holland was twelvth. Speed alone does not dictate effectiveness, but perhaps the velocity difference in types of pitches can at least illustrate how difficult a pitcher is to read. In 2012, Herrera's average fastball was clocked at 98.5mph, but his average curveball speed was 81 mph. That's good for a 17.5mph difference. Holland's 2012 fastball was clocked at an average of 96.1mph while his curveball was an average of 75.8mph, good for a 20.3mph difference. He only threw his curveball 0.7% of the time but managed to gather 14 strikeouts with that pitch while only throwing it 87 times all of last season (16%). He got 19 strikeouts with his fastball, throwing it 617 times (3%), and 54 strikeouts with his slider, throwing it 400 times (13%). Those stats can be found here. Ask a Royals fan though and they will tell you that their starting pitching is the real reason fans believe this team can compete. Last year, Royals starters ranked 26th in ERA and 24th in WAR. This year, their starters are 7th in ERA and 9th in WAR. Much of that is due to the off season acquisitions of James Shields and Erving Santana, but this rotation can actually get even better. They have been without Felipe Paulino and Danny Duffy since early last season, and both pitchers were doing well. Paulino was 3-1 with an ERA of 1.67 before getting injured. Duffy was 2-2 with a 3.9 ERA, which isn't spectacular, but it starts to look better when you consider that the Royals current fifth starter, Luis Mendoza, is 0-2 with an ERA of 6.38 in five starts. It's never easy in baseball to pick how a team will perform. Last year's Red Sox were the pre-season favorite, and we all know how that turned out. I believe the Royals can do it, though. I'm not confident that they will make the playoffs, but I am confident they will compete. Due to their weak division, a wild-card berth is more likely than in other divisions around baseball. Royals fans haven't had much to be excited about in a long time. This year's team could change that.